Thoughtful products. Handmade by a husband and wife team in Austin, TX. Banks and Indie is Drew and Allison Thomas. 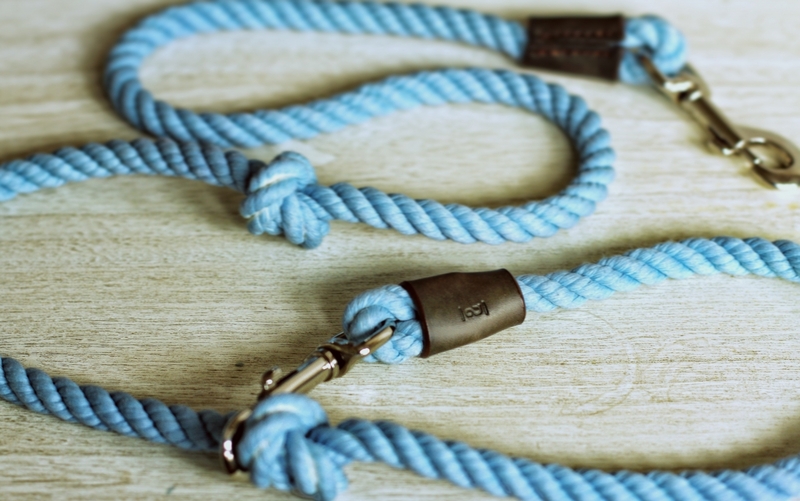 As a way of expressing ourselves and to share our love of craft, we hand make dog collars, leashes and other leather products. We design and build each piece with love and pride, because doing respectable work makes us feel good. 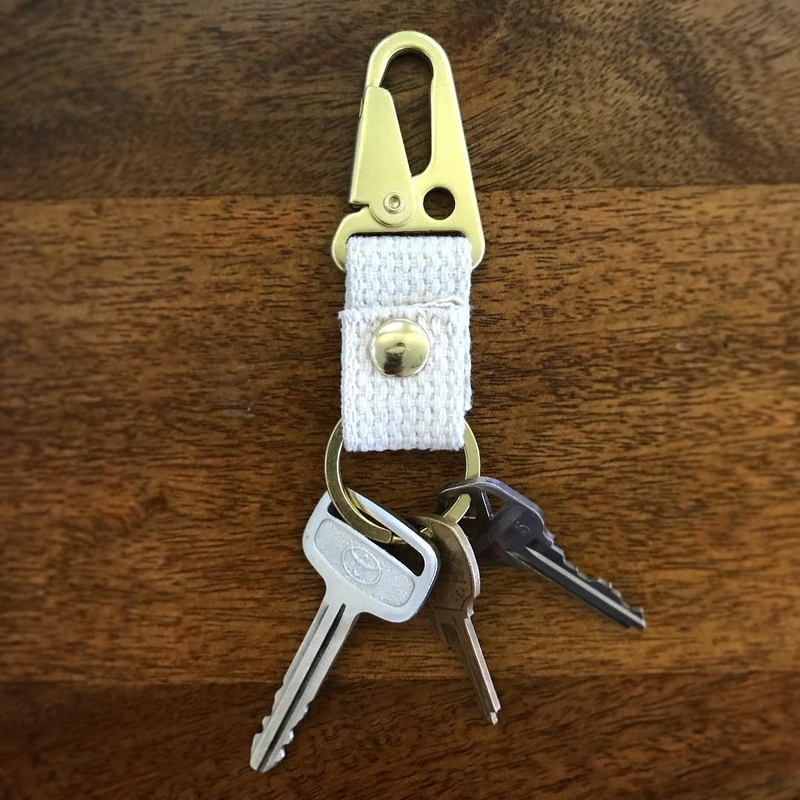 Snaps open to quickly change out the strap or add keys. 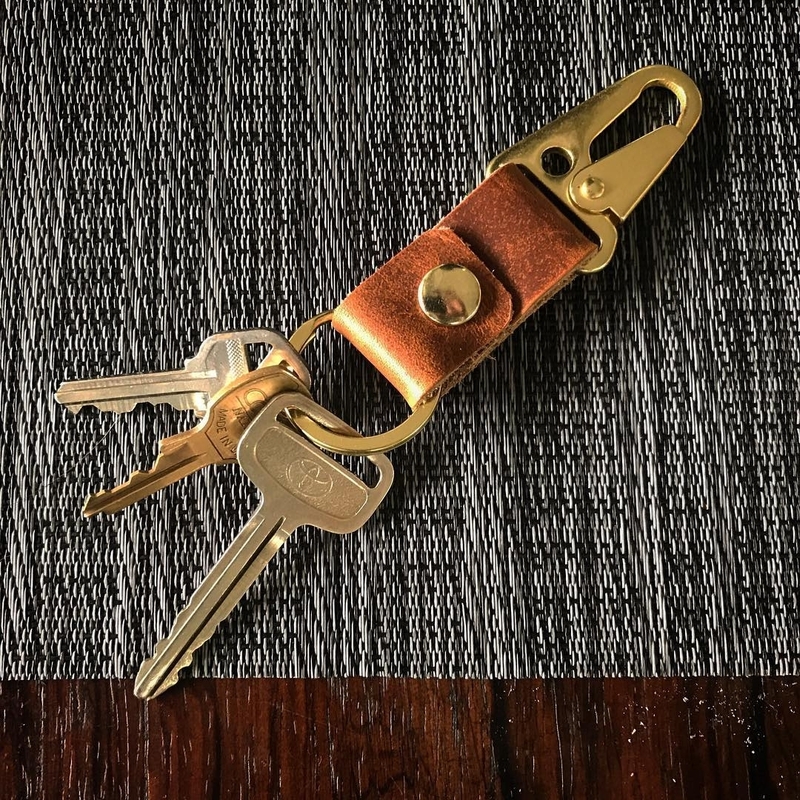 Leather / Brass / ~2 in. 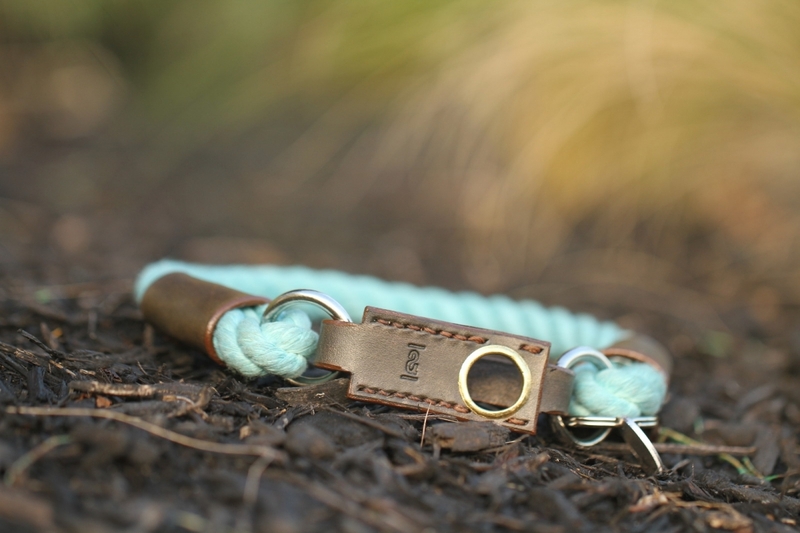 Snaps open to quickly change out the strap or add keys. Cotton / Brass / ~2 in. Gray cotton with brass hardware. 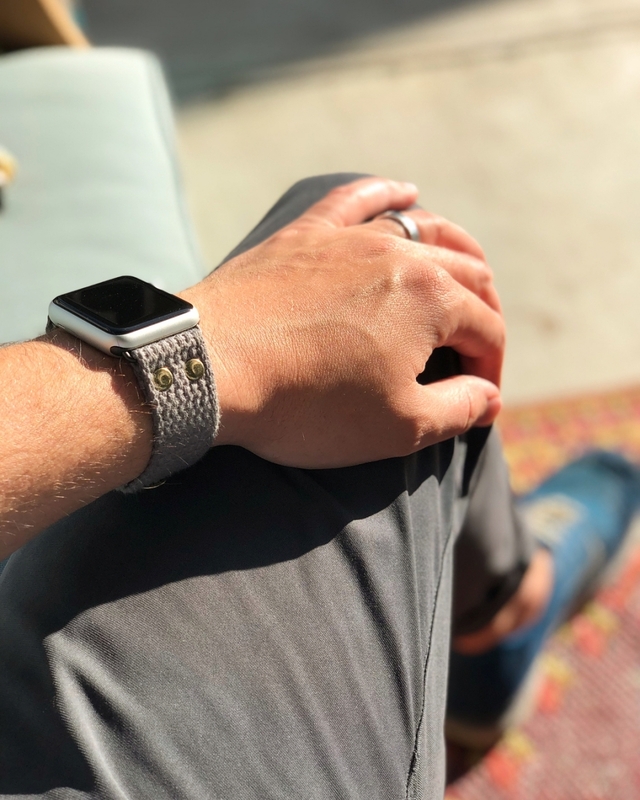 This strap works with the 42mm Apple Watch and is custom sized.